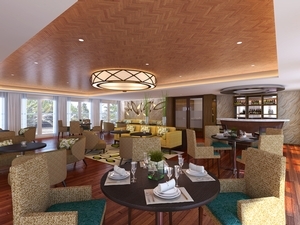 Avalon Waterways is upping its game in Asia, building two new riverboats that will include signature features found on its European vessels. 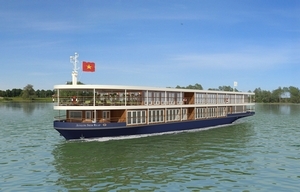 We talked to Avalon General Manager Patrick Clark about the two 36-passenger “Suite Ships” that will begin sailing next year on the Mekong through Vietnam and Cambodia and, for the first time, on the Irrawaddy River in Myanmar (Burma). Travel Pulse: Will these new “Suite Ships” for Asia offer features that other Asia river vessels don’t have? Patrick Clark: The short answer is yes, they will. The cabins will be a slightly larger version of those found on our Suite Ships in Europe. These cabins will be about 245 square feet in size, compared to about 200 square feet in Europe. And they’re considerably larger than what we are currently operating on the Mekong, the Avalon Angkor, which has cabins of about 170 square feet. As you can see, we’re talking about a fairly significant increase in space in the cabin, which is going to be very appealing and attractive, luxurious and comfortable. They’ll have the amenities people have gotten used to in Europe, including our Comfort Collection bedding and lovely marble bathrooms. Plus, they will have the Open-Air Balconies featuring floor-to-ceiling, wall-to-wall panoramic windows measuring 14 feet wide with doors that slide open a full 9 feet. 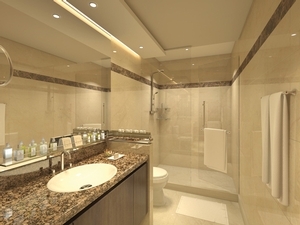 PHOTO: Avalon’s new Asia riverboats will have marble bathrooms similar to those found on the European vessels. TP: Why is important that these ships have your signature Open-Air Balcony, which can be closed off when the weather is poor? PC: It helps us establish a brand identity, whether in Europe or in Asia. Our customers have learned it’s about space. Some river cruises offer balconies that, while I’m sure they have attractive features, have limited use. It’s not like a big cruise ship when you have ocean days and you can get a lot of use out of it. The river cruise experience is different, and everything is on the side of the river. You want to be in a place where you can see it, but the actual use of the balcony is still limited because you’re docking alongside other ships and there are weather issues at certain times of year. With our Open-Air Balcony, there is more room in the cabin, so you have a sitting area with a small couch and a table if you want to have a drink or food. And in the evening when the blinds are closed, you still have that space to use. PHOTO: This suite on the Avalon Myanmar features the Open-Air Balcony. TP: Will you continue to operate the 32-passenger Avalon Angkor on the Mekong River? PC: The Avalon Angkor’s lease is up at the end of 2014, so we’re turning it in. 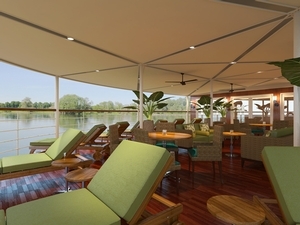 The new Avalon Siem Reap will enter service on the Mekong in January 2015. 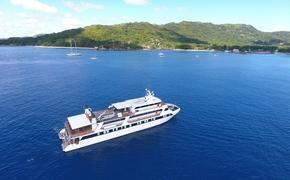 The Avalon Myanmar will begin sailing in October 2015. TP: Why are these new vessels smaller than your river ships in Europe? 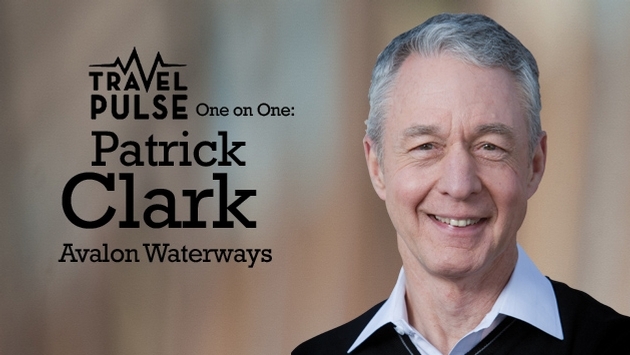 PC: When we first had a ship designed for us on the Mekong, we opted to have a smaller one. Now that we have a couple years of experience, we’ve had an overwhelming response from our customers that they love the intimate, cozy atmosphere of the small ship. Within the space of a week, they all know each other by name and it’s almost like being a family. Number two, it allows us to get into places easier than larger vessels. In particular, we can sail into Ho Chi Minh City harbor. The bridge outside the city prevents other vessels from sailing into the harbor. So we’re a 10- to 15-minute walk to the InterContinental Hotel. Others have to moor outside the harbor and take an hour-plus coach ride from the city center to where they embark. It’s one more little convenience and one more reason that confirmed our decision to go with a smaller vessel. PHOTO: This rendering shows the outdoor lounge on the ships. TP: The renderings show that the vessels will have modern conveniences but a distinctly Asian ambience. PC: We intend to have the two ships as sister ships, although they are being built at two different shipyards, one in Ho Chi Minh City and the other one outside of Yangon in Myanmar. But they have the same blueprint design and the appointments and space will be identical. It was a deliberate thing to keep the almost Colonial feel with the wood and some of the appointments. We thought it’s an important part of the cultural experience. To have a big modern European-style vessel is not capturing a lot of what the location has to offer. Plus practically, it’s an extremely humid environment, and if you have a lot of metal you’re constantly maintaining and repainting it to keep it looking good because you can end up with rust. TP: Will your program in Myanmar differ from other itineraries? PC: The itinerary that we’re offering in Myanmar is different from what the other companies are operating on the Irrawaddy River. For example, the length of the cruise is similar but we will go much further north. The small ship allows us to sail further north on the Irrawaddy than some of the larger vessels. We’re still going to major points such as Mandalay and Yangon, but we also go to six or seven spots in the north. It’ll really give people who sail on this itinerary a true sense of the culture of Myanmar. I think that will be very exciting and make for a magical experience. PHOTO: The indoor lounge on the ships. TP: Is Asia the new hot spot for river cruising? PC: I think it is, though if you look at the total capacity it’s still very small compared to Europe. People repeat and look at different options for river cruises. They’re looking further afield, particularly people who are little more adventurous. Myanmar, Vietnam and Cambodia are still relatively early in tourism development, so you can still see things untouched and not sugar-coated. You can get into villages to see how they live and where they shop. It doesn’t resemble Europe at all. Customers want that experience, but they still want creature comforts and to have a glass of wine at dinner and options if they don’t want Burmese food. It’s amazing how many people do want to go further afield.